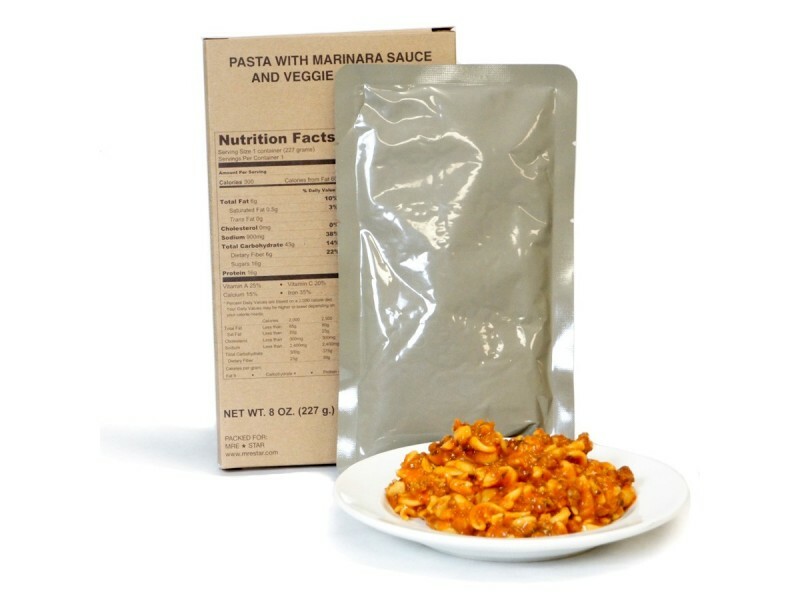 MRE pasta with marinara sauce and veggie is one of those that you can store in your office, pantry or basement and whenever you pull it out, you will enjoy a great tasting meal that is easy to make. This is a meal that has been ideally seasoned. There is nothing bland about this pasta that comes packed with delicious vegetable crumbles. 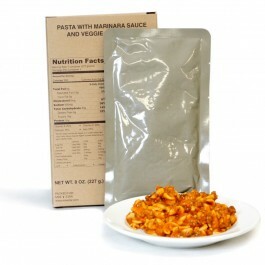 Scrumptious MRE Pasta with Marinara Sauce and Veggie MRE pasta with marinara sauce and veggie is one of those that you can store in your office, pantry or basement and whenever you pull it out, you will enjoy a great tasting meal that is easy to make. This is a meal that has been ideally seasoned. There is nothing bland about this pasta that comes packed with delicious vegetable crumbles. This ready to eat meal works beautifully if you have had a long day and are too tired to cook. It is also perfect if you don’t have the time to follow pasta with marinara sauce recipe. Pasta with classic marinara sauce is an excellent source of Carbohydrates, protein, Vitamin A, C, Calcium, Iron and other nutrients. Each box contains a single pouch of pasta with marinara sauce. They are very easy to prepare since all you have to do is use a flameless heater to warm your meal. This is the best way to get the flavor of the meal. It can be eaten cold, but warmed up works a lot better. These MREs are made to provide lots of energy and nutrition in a small pack, so they are very nutritious meals. If you don’t have a good recipe for marinara sauce, you can use this meal instead.